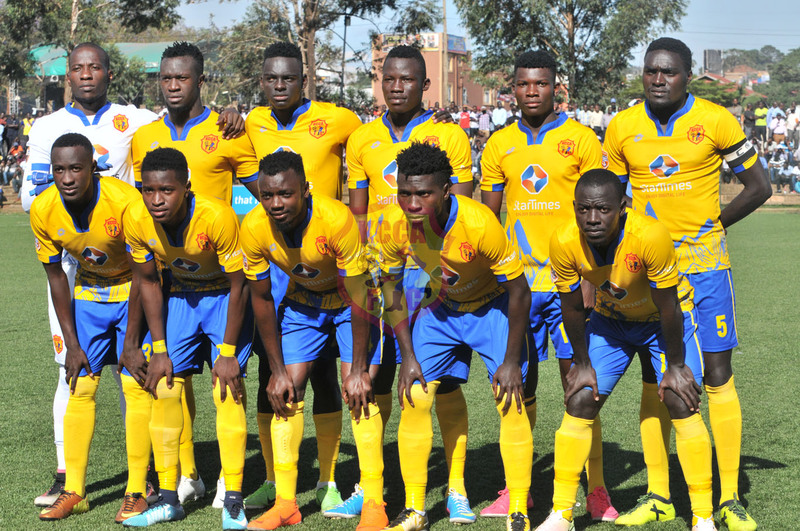 MBARARA – KCCA FC just can’t defeat Mbarara City. The Kasasiros failed to beat Mbarara for the fourth consecutive game as the two sides played out a goalless draw on Wednesday at Kakyeka Stadium. In a game that had very few clear cut chances, KCCA’s Allan Kyambadde came closest to scoring, having a shot rattle the woodwork in the second half. In the beginning, both sides showed immense respect for the other with speculative efforts the only resort. The first notable chance of the game fell to Muzamir Mutyaba who shot straight at Mbarara goalie Ali Kimera after the midfielder was set up by Allan Okello on 21 minutes. Two minutes later, Mbarara Captain Hillary Mukundane was booked for a foul on Allan Kyambadde as the former SC Villa attacker ran through on goal. The resultant free-kick by Allan Okello was dealt with comfortably by Kimera. At the other end, Mbarara caught KCCA on the break and Paul Mucurezi set up Jude Semugabi who blasted over from inside the area. At the half hour mark, Ibrahim Orit tried his luck from distance but his effort was pushed out for a corner by KCCA goalie Charles Lukwago. By the sound of the first half whistle, nothing could separate the two sides as they went into the break dead-locked at 0-0. Five minutes into the second, Kyambadde lashed onto Muzamir’s loobed pass at struck a venomous shot that struck the upright in arguably the best chance of the game thus far. At the other end, Mucurezi had a chance to put Mbarara ahead but could only shoot weakly at Lukwago after he was played in by Semugabi. With 21 minutes to play, Kyambadde who was all over Mbarara’s defence wasted a golden opportunity to score the first goal of the game as he side footed Julius Poloto’s pass, out for a goal kick. Moments later, Peter Magambo blazed over after he was set up by Timothy Awamyi. With time running out, Kimera was booked for handling outside his area but the visitors could not capitalize on the resultant free-kick as it flew across goal with no one providing the telling touch. In the end, both sides had to settle for a point which leaves KCCA still top of the standings with 37 points from 15 games. For Mbarara, they are still 3rd with 29 points.